If you’ve spent time at Pendergast’s “Bark Park,” you know about the charming fire hydrant to which countless visiting dogs have, shall we say, laid territorial claims. That is, until early last week, when the hydrant mysteriously disappeared. Kim Demko, a frequent visitor to the park with her dog, was saddened to find it gone. 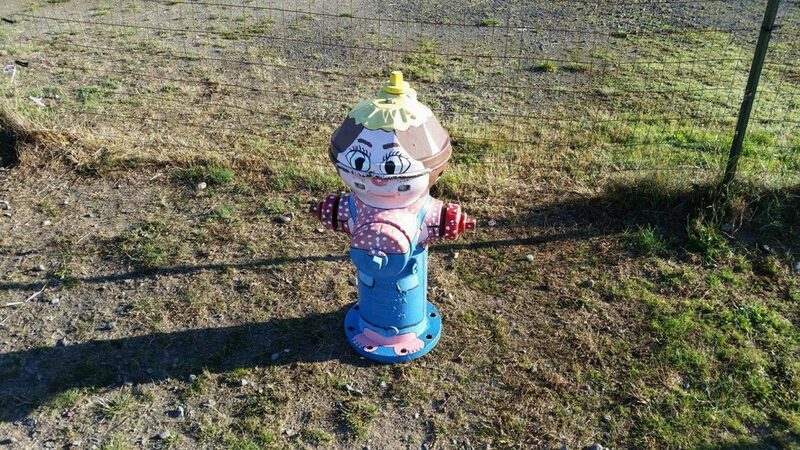 The hydrant was the only permanent “ornament” at the park, one she was told might be one day incorporated into a water system should one be installed there. “It was also a friendly confirmation that you had actually arrived at the location of the dog park,” she told me. 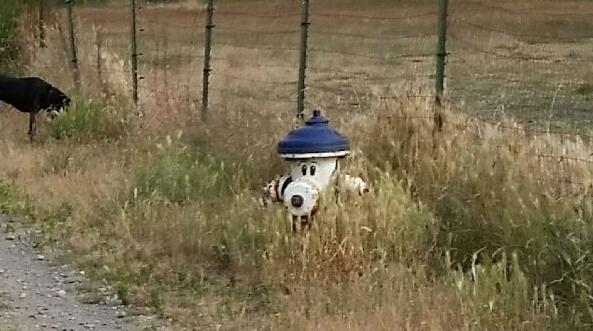 I had to wonder: who steals a fire hydrant? The thing weighs about 500 pounds, so whoever did it came prepared. Demko circulated word on Facebook about the theft. I inquired with the police department. As it turns out, it was no thief at all — just its original owner bringing it out of retirement. Bremerton Public Works crews snagged it to take some parts and repair a hydrant damaged in a crash Sept. 2 at Almira Drive and Sylvan Way on the east side. “It was the only one left that we had,” said Bremerton Public Works Administration Manager Milenka Hawkins-Bates. And there’s good news for dog park users: the city was able to place another hydrant out at the park Wednesday. Its artful design (above, at the top of the page) was painted by Darrell Clauson, a lead in public works’ wastewater and stormwater division. Oh, and lest I forget, some improvements are coming to the bark park. I’ll have more on that in an upcoming story in the Kitsap Sun.